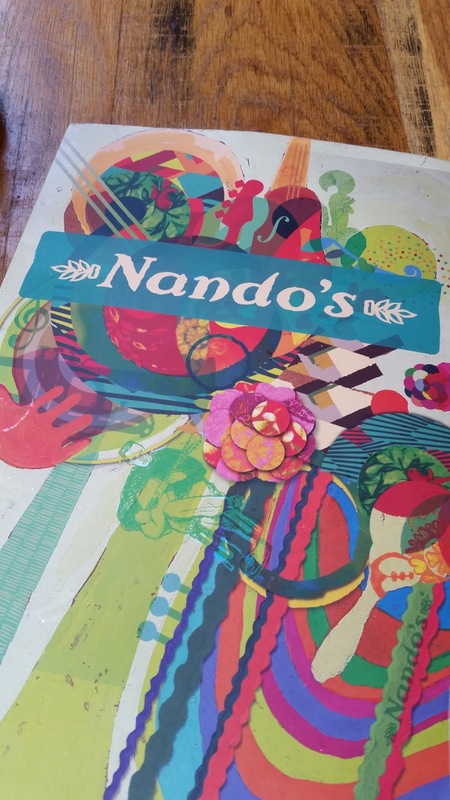 Never have I heard of Nandos until a friend suggested eating here for lunch one day. I was interested for sure – he advertised it was Portuguese cuisine; a cuisine that I have yet to explore. 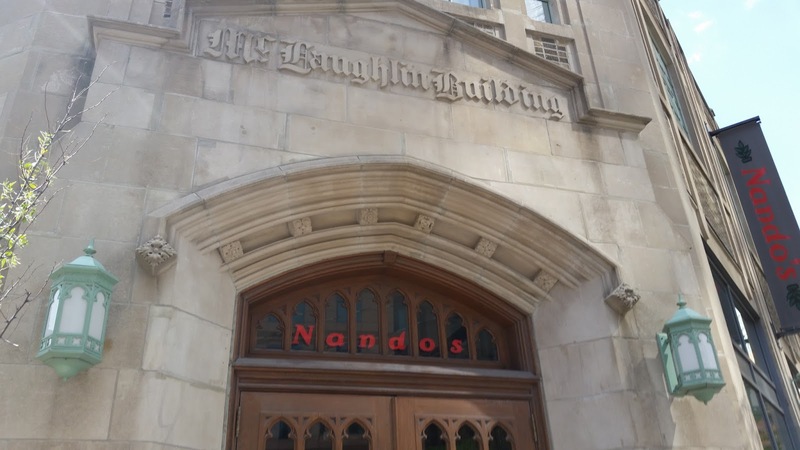 In addition, Nandos has gained its popularity not only in Toronto, but in its other locations as well. 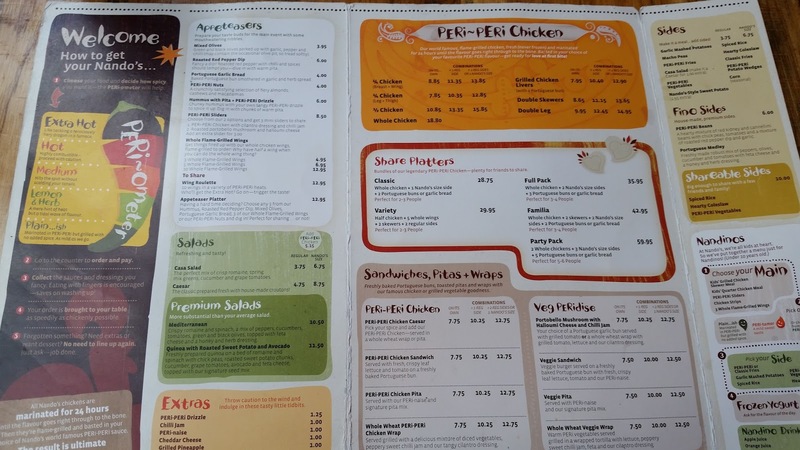 So after a 4 hours straight of summer lectures, my friend and I made a trip to Nandos on Bay and College Street. Stepping in Nandos was almost like I was entering a different dimension. We went from the streets of Toronto, into some kind of vibrant, colourful fiesta in some South American or Mexican setting. I’m not too familiar with Portuguese culture, but the ambiance seemed like the interior design you find in Mexican resorts. Not that I’m complaining! It was really bright, and very friendly service included as well, who took us to our table, handed us a menu, and allowed us some time to look at the selections before we ordered up front at the cashier and waited patiently for the food to come. 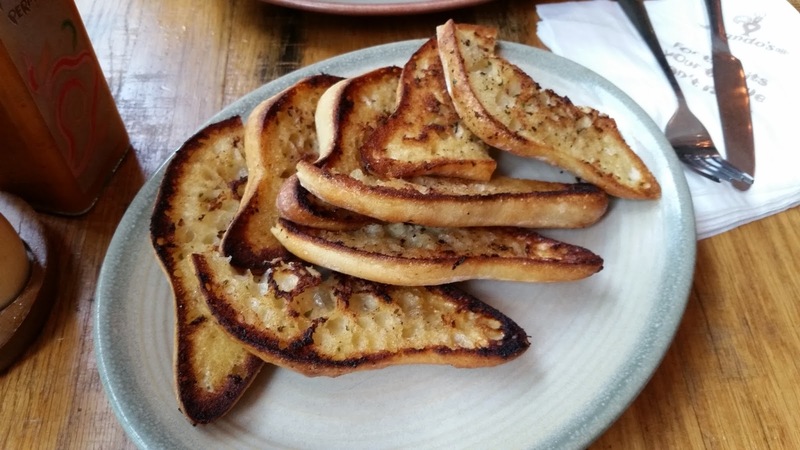 The garlic bread came out first – fresh, hot and garlic intoxicating! It was really great – I enjoyed having some of this as an appetizer to the main course. The highlight for lunch then came out, along with Nandos’ fries. 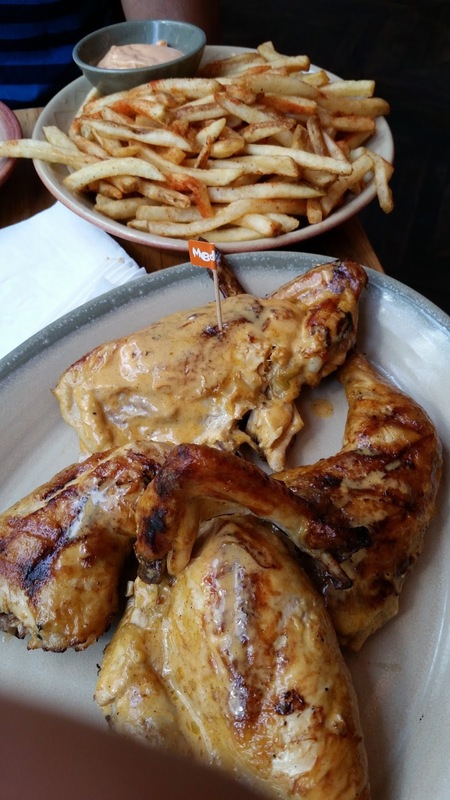 It looked, as well as tasted, delicious and Nandos added their own touches to the dishes. For instance, the chicken had a signature sauce on top which tasted almost gravy-like and added a beautiful flavor to the soft , juicy chicken. In addition, their fries especially had a wonderful taste, with some kind of spice on top which made it have a little bit of a salty, and a hint of spicy on it. This really enhanced the taste of the fries and made it more than your average bowl of French Fries. The quantity however, was a bit too much for my friend and I to finish. I would suggest ordering this platter for a dinner setting rather than a lunch, it’ll be much more satisfying that way! Overall, the choice to go to Nandos, despite having back to back lectures, was really a good one. Nandos is great for social settings, because it has a really nice open concept and the restaurant itself was very well polished. It’s great because it can play off as a “more than takeout” joint, but casual enough for many social settings, such as a group gathering, a date, or anything in between. 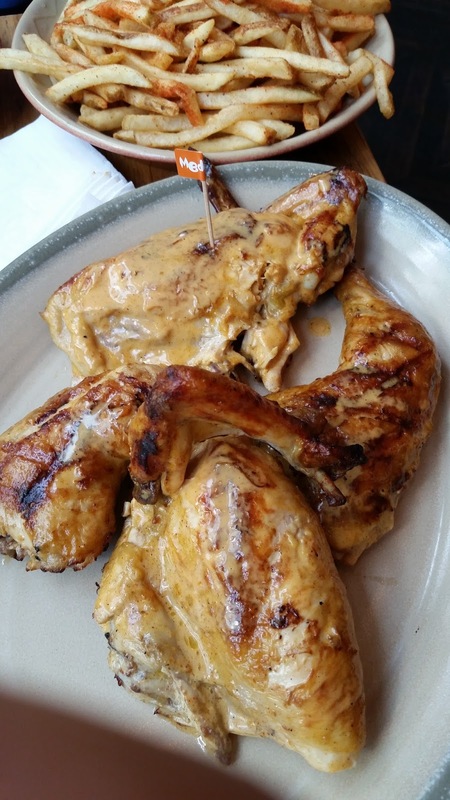 Nandos did not fail to impress me – well done!